Sergei Polunin, the youngest dancer ever to be made a principal with the Royal Ballet, whose skill had earned him comparisons with Nureyev and Baryshnikov, shocked the dance world in January by unexpectedly quitting. In his first broadcast interview since that decision he has spoken to BBC Newsnight about why he walked away. "That is the only time I enjoy our profession in a way - it is communicating with people and showing what you have learned in nine years. "You learn and practice a lot, sometimes for months, you sometimes argue, and it is for nine hours a day. So when you are finally on stage, especially when it is finished, you have so much adrenalin, so much joy in your body, that feeling can keep you in the profession," he says. However, it seems that for Polunin, at the age of just 22, the joy of performance is no longer sufficient when offset against the rigid discipline needed to be a ballet dancer. "You live the life of a dancer. It is not your job, it is your life, and you have to love it so much to be able to take it every day for six days a week, sometimes seven," he explains. "In a way I did feel that the artist in me was dying a little bit and I wasn't giving as much of myself and putting as much creativity into it as I could, as I should." So, in January, just a week before he was due to appear as the lead in a production of The Dream he took Royal Ballet Director Dame Monica Mason aside and told her he was leaving. "I do not want to sit and make a nest and be comfortable, and I did feel so comfortable that I stopped being involved as a person and an artist and that is not something I want. "I don't want to have comfort, I don't want to have a family, I don't want to have a flat - so I destroyed in a way everything I had in order to be able to build." "It is almost like a delete button and you just want to start fresh." Polunin says that taking such a drastic course of action made him feel good "because you just throw everything you had away and you clean yourself in a way". I am going to explore different directions." "Often people in the arts, not just in dancing, close themselves to only what they do and look just in one direction. They never look out and never explore and so they become claustrophobic in a way. "It is one of the hardest things to stay free and keep being open, and maybe that is what Sergei is doing now, trying to be open to so many different things, which is wonderful." "What's good for me is late in the evening, with plenty of time to wake up, to have a little bit of day and then come in." "I have been working quite hard with this, learning new pieces that are 10 minutes long, five minutes long, and choreographing my own piece." but I would love to achieve something else in a different profession. "Once you achieve something you just want to move on and achieve something else and keep achieving, like Alexander the Great - he captured one country and then he just kept doing it." 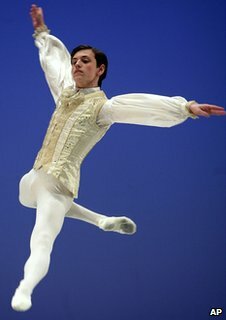 "When I became a principal at the Royal Ballet it was my childhood goal, a dream and I became it at 19. And then I said 'what's next?' and I set myself a different goal at 19 to become an actor. "I started watching movies more carefully, watching actors - the way they act, the way the movie is filmed, just as a hobby in a way, but also something to progress to maybe in the future." 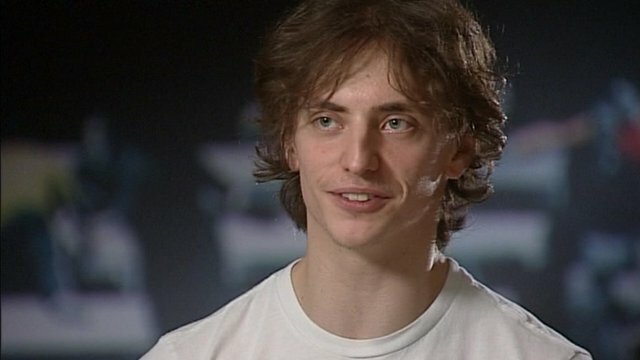 Watch Newsnight's full interview with Sergei Polunin on Tuesday 13 March 2012 at 10.30pm on BBC Two, then afterwards on the BBC iPlayer and Newsnight website.